You can expect a clean natural energy boost with great pump and vascularity with Gold Standard Pre-Workout & at Echo we are happy to recommend it to anyone (including drug tested athletes) looking for a proven to be effective pre-workout. Optimum Nutrition Gold Standard Pre-Workout is a pre-workout supplement designed with natural athletes in mind wanting a safe but strong pre-workout boost based on proven ingredients and with NO grey area or banned substances. It is a fully transparent formula (no secret formula here!) which at Echo is what we would ALWAYS recommend going for. 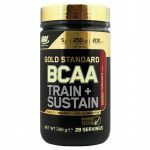 Gold Standard Pre-Workout comes in a good range of flavours, mixes very well and doesn't have any side effects like bloating or leaving a weird taste. Due to it's intelligent caffeine dose you can safely double up for those really intense leg and back workouts but still get a great boost for your cardio or light workouts. Increased Bloodflow & Pump - ON have included the most respected and proven Nitric Oxide boosting ingredient around in Citrulline Malate in the Gold Standard formula. This boosts Arginine levels dramatically which in terms of results means you will be very vascular and get a great pump when training hard. There is also Grapefruit Bioflavanoids in the formula which work to achieve the same effect and are an outstanding natural way to boost your pump. Responsible Caffeine Dosage - The pre workout category of supplements has gone a bit caffeine crazy in recent times with doses of up to 550mg caffeine (a typical espresso has around 80-100mg by comparison) seen in some pre workout formulas. For someone with a normal tolerance this is insane - thankfully Optimum have seen sense and gone with a 175mg dose so for those training in the evening or without a huge caffeine tolerance it does the job, and for those with a higher tolerance you can always double up! Fully Disclosed Formula - This is SO important when buying pre-workout supplements! There are many brands out there that use a "proprietary blend" of ingredients which often just masks a HUGE caffeine dose paired with ineffective doses of other ingredients. Thankfully Optimum Nutrition do NOT follow this trend & Gold Standard Pre-Workout can be trusted to be a responsible formula that any athlete can use. Who is Optimum Nutrition Gold Standard Pre-Workout For? Gold Standard Pre-Workout is formulated to give a boost to natural athletes looking for a pre-workout boost with clean ingredients that have been proven to be effective - importantly it is free from ANY banned or grey area ingredients. Due to the responsible caffeine dosage you can also use gold standard pre workout before cardio sessions or team sports, not just bodybuilding. When to Use Optimum Nutrition Gold Standard Pre-Workout? Take 1 to 2 scoops depending on tolerance around 15 minutes before you start training. Mix each scoop with 6-8 oz of water and consume 20-30 minutes before training. Start with 1 scoop or less to assess your tolerance. Optimum Nutrition are truly a global brand. With over 30 years of pedigree, Optimum Nutrition are at the pinnacle of the sports supplements world and distribute to countries across the globe. If you’re looking for the very best then look no further than Optimum Nutrition. Founded all the way back in 1986 by brothers Mike and Tony Costello, Optimum Nutrition has garnered a reputation as a supplements brand you can trust. They have a product in every single product category, each meticulously researched and developed to ensure they are the very best. Optimum have production facilities all over the world, including in Middlesbrough, England, where each of their products is carefully crafted. Optimum have some of the highest quality standards in the supplement world and each batch that comes out of the factory has to be the best. Optimum strive to produce the best products possible so that you can trust what you are putting into your body. 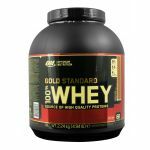 Optimum Nutrition produce the best selling whey protein in the world, Gold Standard 100% Whey. This standard-bearer in whey protein is widely considered the best around and is used and loved by millions across the globe. Optimum have gained a reputation for their innovative products; their Gold Standard 100% Casein created the the slowly digesting protein category while their Essential Amino Energy created the anytime energy category. And as you can imagine, their quality is simply the best.